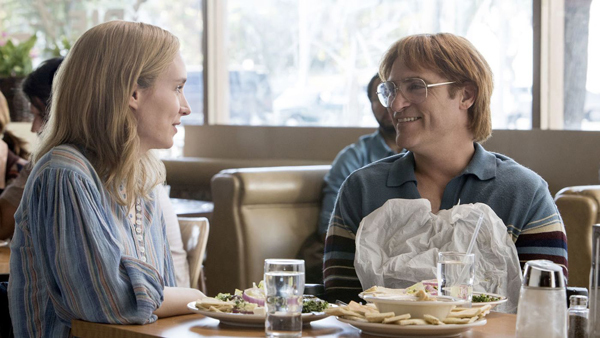 Joaquin Phoenix stars as disabled alcoholic cartoonist John Callahan in "Don't Worry, He Won't Get Far on Foot," a new biopic from director Gus Van Sant ("Good Will Hunting"). Jonah Hill and Rooney Mara co-star in a film that focus on Callahan coming to terms with his addiction and becoming an artist to articulate his frustrations with his life. In his review of "Don't Worry, He Won't Get Far on Foot" at IGN, William Bibbiani calls the film "earnest but conventional," but that the emphasis on only one aspect of Callahan's life makes it feel like "a missed opportunity to turn a distinctive, interesting person's life into a distinctive, interesting movie."